Uh, everyone? Registration is open!! If you're new, we maybe sort of decided to do an in-person get together at WorldCon 2019 in Dublin. It will certainly be nothing like the first meetup of The Guild. Everyone is welcome. ETA: SO EXCITED AND NOW OFFICIALLY REGISTERED! Wait--already? I just signed up for 2018 a couple months ago! Presently, there are some 1520 members, however 568 of these are supporting members so, presumably, not attending. That's 2770 individuals with 568 subscribers only, but I guess somer of the pre-supporters and backers may not turn up. Dunno. I have no idea how many register for these things. The blurb on the website says they reckon they can accommodate 4,500 to 5,000 members. I haven't heard of a WorldCon selling out before, so hopefully not a problem. I don't know if they had to cap the one in London, but I know they had more people than they expected in Helsinki and had to cap the days sales to locals. @Silk you have to come! You’re our fearless leader! I'm definitely more likely to go than not! I can probably get the vacation time if I assure my boss I'm not going for three months this time. If any of you are looking to stay longer than the con, I used to live in Ireland so would be happy to provide tourism suggestions. I used to live in Ireland so would be happy to provide tourism suggestions. I know I'll be doing some sightseeing while I'm there. We'll stay a few days either before or after the con. I'll definitely be looking for some tourism suggestions if I make it out there! Hey Silk, seeing as we're getting close to WorldCon 2019 *cough*, I wondered if we might pin this thread for the next 14 months until REcon #1. What do you think? Then, I thought it might be easier for peeps to find it, and we might post up a 'sign-up' sheet (unofficial, of course). You know what I realised earlier this evening, apropos of absolutely nothing? I'm pretty sure Reading Excuses was founded in Nov/December 2009. Which means that when we get together for Worldcon 2019 Recon 1, those of us who are able, we'll also have the opportunity to celebrate 10 years as a writing and critique group. Wait, how many have been here for the full ten years?? You should get a badge or something! I've only got 5 years. 5 years is nothing to sneeze at! I've been thinking about this, and I thought it might be fun to pitch a panel about (and this is NOT the title, just the idea), being challenged in critique groups. I think we have a lot of valuable information worth sharing, especially noting the WorldCon standard demographic. RE gets shaken up a bit more now that there are some more diverse voices, and that challenges people to learn more about the world. So a panel about the values of a diverse critique group, and having internal reflection, and how it's not enough to write good stories but write good stories that don't harm marginalized communities, could be awesome. Let's do this. I can't see that there is a down side, and what a great up side that would be. Looking on the Dublin 2019 website, threes nothing at present under the 'Programme Ideas' heading, and it seems that they presently recruiting Programme Area Heads, so we farewell in advance of the 'game', it seems to me. I don't see a form complete, so maybe we just go ahead and pitch. 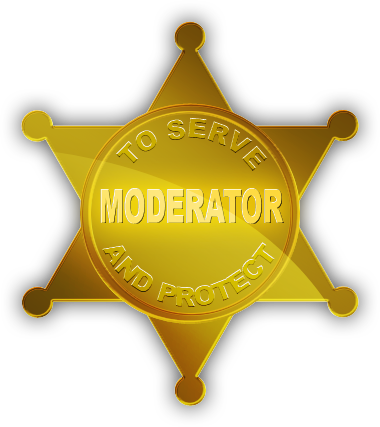 I guess that WC19 will provide a impartial and unconnected moderator? I'm guessing that's how these things work. Also, we probably need another panel from the local Dublin writing community, but, unless there is someone lurking on here, we probably would reply on WC19 suggesting someone? Sidebar: I think I'll put up a thread on the main forum for WC19-goers on 17th Shard. That might be fun. Sidebar2: We should have a logo for REcon#1! They're probably not soliciting panels yet, since this year's WorldCon hasn't happened yet (and especially including the schedule fiasco that just happened). However, I think this is a great idea--I haven't seen a lot of panels on critique groups, and especially not ones that have been around for 10 years! Definitely need to include some POC on the panel as voices--otherwise it's 3 white people talking about diversity, which can lead to eye-rolls (and worse), but I really like the idea. Completely agree. The trick will be to find some that are part of crit forums AND are going to WorldCon. I doubt we'll be able to pull from the Shard anywhere. I'll dive into my contacts. Thanks, kais! Mandamon, that's a point well taken. In general, though, I'd suggest we focus on what we want to see for structure/content for now. It'll make for a stronger pitch, and we shouldn't assume we will have much control over the membership of a panel if it gets accepted as part of official WorldCon programming; the experience of WorldCon participants this year and the language on Dublin's Q&A page both suggest this isn't necessarily the case. My initial suggestions for places to flush out some content would be (in no particular order): how a crit group enables an environment/culture where such matters can be addressed, the successes and challenges the group has had in doing so, why it's important to do so, and what the responsibilities are for members when commenting on others' work, members when receiving comments from others, and moderators in facilitating a safe environment. Thoughts?